Kittens are adorable. They have this certain silliness to them that never fails to draw a huge smile on anybody’s face. They’re little fur babies that are full of energy. Despite their size, kittens can have lots of mischief inside their small and fragile bodies. Kittens are very curious. Anything that moves is a potential prey to them. They love to scratch and climb in preparation for their predatory roles. As such, they are exposed to a number of dangers in the house. As their pet daddy or mommy, it is your job to keep them safe. Kitten-proofing your home can also save you from expensive furniture and carpet repairs. 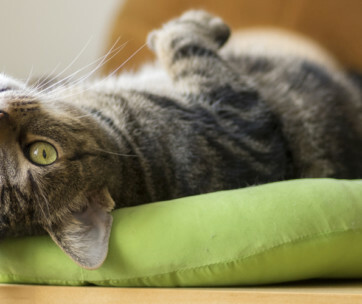 Here are ten ways you can kitten proof your beloved home. There is one thing you should never underestimate about your little feline. This is one very flexible animal that can wriggle its little body through almost anything it considers a potential hideout. They are very curious furbabies and they can get very nosy. Kittens know that they are not full-pledged predators yet and that they could be the next meal of a larger predator. Hence, they will try to look for a hideout that they can run to in case a large hunter is on the prowl. Kittens love squeezing their lithe bodies in very tight spots. They know that the tighter or smaller the entrance to their hiding places is, the safer they will be from predators. Young cats love dark, small, and out-of-the-way hideouts. They’ll take refuge in your washing machine or squeeze themselves in a shoebox. It’s always a good idea to look for other potential hiding places. These are very clever creatures and they will stop at nothing to feel more secure in their new environment. One last thing. Before you head to work in the morning, make sure you’ve got an eye on your kitten. Say goodbye and reassure your kitten that everything will be okay. Upon arriving, check the identified hideouts in case you didn’t see it welcoming you home. Being curious creatures, kittens will always try to explore their new surroundings. They may hear the chirping of birds in the backyard or the rustle of dry leaves in the garden. For young kitties, these are all signs of a potential prey and they will almost do anything to explore further. 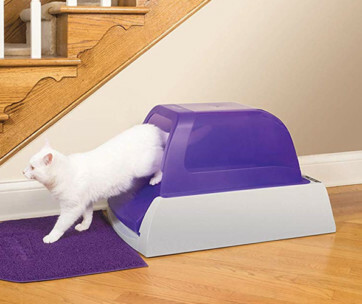 Hence, it’s best to check any opening in your house that can serve as a passageway for the young feline. Keep all doors and windows closed. A door that is partially-opened is an invitation for the juvenile cat to bolt out and explore the world beyond. If your windows have screens, it’s best to check for any gaps. A loose screen is a potential escape route for the young cat. You might think that it’s okay for kittens to explore the garden or backyard but there are plenty of hazards in these places that your baby cat may not be ready for. If you live in a two-story house or a high-rise apartment, the more you should observe better security. There is this thing called Feline High Rise Syndrome. It describes the unsafe practices of certain city-dwelling cat owners to allow their pets sunbathe on their porches, fire escapes, and open windows. The problem is that cats tend to fall from these places; not in a deliberate manner, of course. From day one, kittens will already try to sharpen their hunting skills. It’s in their genes. It is part of what Mother Nature designed for them so that they can survive in the wild. Anything that moves is a potential prey. And most of their prey have tails. As such, if you have any item in the house that dangles from a height, then your young cat may want to “grab” and chew on these “danglers”. A great example of this is the drawcord on curtains, blinds, or drapes. The problem with this is that they can pose a serious choking hazard. Another dangler is an electrical cord. If it’s still plugged into an outlet, there’s a chance the young kitty will get the shock of its life if it chews on the cord. Make sure to secure these “danglers” so that the young cat will not be able to reach them. It is also best to keep the bottom edges of curtains and drapes raised a foot or two from the floor surface. You don’t want the fledgling kitty to scratch and climb up these items. Everyone knows how kitties are very gifted at climbing. With their razor-sharp claws, they’re like Spiderman scaling vertical structures. They also have a Sherlock Holmes-like curiosity and Dora-like enthusiasm. While these kitties may be flexible, their circus-like acrobatic skills will not prevent them from causing a disaster in your house. Fragile collectibles like antique Chinaware are at the mercy of a young cat’s exploratory appetite. Ceramic angels and other figurines are also not safe from a cat’s natural instincts to explore. But don’t castigate your young kitty if it ever knocks one of your expensive fragile collections. It didn’t mean it. What you need to do is to secure these items. Open-shelf display cabinets are a big no-no whenever there’s a kitty around. It’s better to put them on a display cabinet that comes with a lockable glass door. 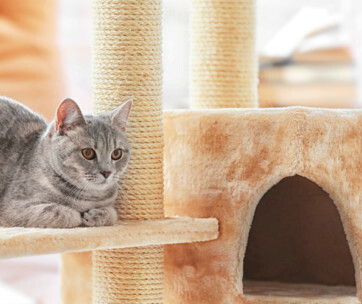 Making sure there are no breakable items within your young kitty’s reach can also help. Have you noticed your cat watching your every move? They are learning from you. They are trying to figure out why you keep on opening and closing that drawer in your bedroom. In their feline minds, there must be something very important inside those drawers or beyond the door that is making you want to go to them like clockwork. Sure, cats may not be as powerful as dogs that they can turn a doorknob or pull out a drawer. However, we’ve seen online videos of cats doing the same actions that we never thought they could do. Pet owners often make the mistake of underestimating a cat’s intelligence. These creatures may be more challenging to train. But this doesn’t mean they are dumb. Cats are very smart creatures and have the curiosity of a wild predator. It’s imperative to secure cabinets where you store household cleaning materials. If you have a utility room where you keep other hazardous items, then you should lock the door, too. The garage is another area of the house that needs kitten proofing. There are plenty of dangerous chemicals here like antifreeze that your young cat can get in contact with. Keep in mind that not all toys are safe for kitties. Those with ribbons, strings, or yarns tend to be choking hazards. The feathers on certain cat toys can also pose a safety concern as these can get dislodged from their attachment. The point here is for you to keep an eye on your young kitty whenever it is playing. Don’t make the mistake of leaving it to play alone for a couple of minutes. That fraction of a time can spell the difference between a safe cat and a kitty in an emergency veterinary clinic. If you cannot supervise your cat’s playtime, get someone who can do the supervision. If no one is around, better finish the feline playtime and store the toys in their proper place. It’s imperative that you keep these toys out of the young cat’s reach. Remember, cats have very good memory. They know where you put their playthings. And when you’re not around, there’s a chance they’ll try to get some of their toys. There’s a long list of plants that are poisonous or toxic to cats. Examples of these include Aloe, Azalea, Calla Lilly, Carnation, and Chamomile, among others. These can produce vomiting and diarrhea in cats; in worst cases, the cat may end up with a more serious complication or death. It is wise to check with your veterinarian or online resources what plants are toxic or poisonous to kitties. This way you can remove them from your house if ever you have them. Keep in mind that this is more as a precautionary measure. We know that cats are obligate carnivores and they will never give up meat for veggies. But the thing is that the curiosity of the cat can take the better of it. It will try to sample the different flowers and greenery that are present in their surroundings. The same is true with plants that are safe for cats. 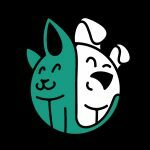 You don’t want your feline friend to have access to these plants, unless you don’t mind having a partially-chewed greenery. So, it’s best to keep these plants in a more secure place. There are a lot of videos online about the curious cat falling right in the toilet bowl. Most folks find it amusing, hilarious. But this is dangerous for your cat. What is strange, though, is their great attraction to water. What makes it stranger is that you won’t see them drinking from their water bowls. Yet they will leap onto the kitchen sink and try to “touch” the flow of water from the faucet. An odder behavior is their fascination with the water in the toilet bowl. 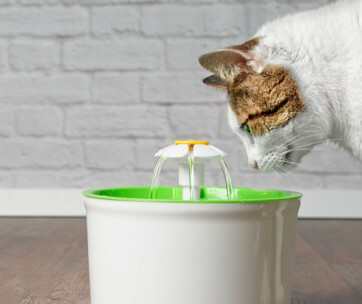 Protect your young cat from getting dunked into the bowl. Make sure to keep the toilet seat cover closed. A much better alternative is to keep the door to the restroom closed at all times. 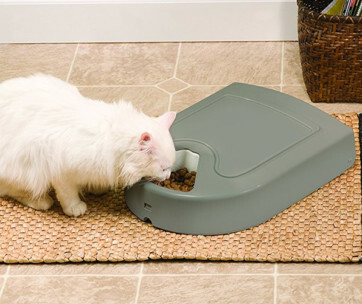 Keep in mind that the water in the toilet bowl is not safe for your kitty to play with, let alone drink. It may contain harsh chemicals from the cleaning products used in the toilet bowl. No medicine is ever safe for a cat. While it’s true that there are medications for pets, these can be dangerous if taken in excessive amounts. Adverse reactions can occur or, worse, drug overdose. This is worse when the medication that your cat ingests happens to be for humans. Human medications come with a different formulation. They have stronger concentrations owing to the body surface area difference between a man and a pet cat. Hence, don’t let your cat gain access to your medications in the same way that you don’t want your children to mess with your medications. Don’t feel confident that your pills are safe inside a plastic bottle. Again, don’t underestimate the cleverness of a cat. They can chew through this material if they’re persistent enough. Storing any medications and other chemicals in tamper-proof cabinets is best. And if some of these get spilled onto the floor, make sure to pick them up before your kitty does. It is true that your cat should always stay indoors for it to stay safe from any outdoor hazards like stray animals, dogs, chemicals, and others. However, we also cannot deny the fact that letting them explore the outdoors is good for their wellbeing. Hence, it is wise to create a “catio” for your kitty. This is an outdoor enclosure where your young cat can enjoy its time outdoors. Some folks have success training their kitty to walk on a leash. This way you will have better control of your young pet’s outdoor activities. Do take note that letting your cat outdoors only works if your kitten has completed its vaccinations. If not, you’d better confine it indoors. The risk of contracting feline diseases outdoors is simply too great. Kitten-proofing your house entails a basic understanding of feline predatory nature. 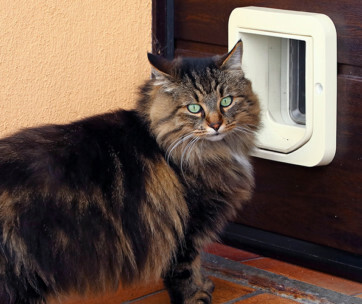 This is the key to instituting measures that will help keep your cat safe from harm.